THE lack of creative writing and productions in vernacular has prompted a workshop aimed at promoting the use of Fijian and Rotuman in mediums that are not popular. As part of the Fijian Language Development Program, four workshops were held simultaneously over five days at the Laucala Bay Secondary School in Suva. Organised by Fijians Trust Fund Board, the project officer, Unaisi Manulevu, said three workshops were aimed at creative writing, namely short stories and life writing, theatre and script writing, performance, poetry and song writing, while the fourth workshop was on learning the techniques of translation. "One of the reasons for the workshops was the lack of creative writing in the Fijian and Rotuman languages. 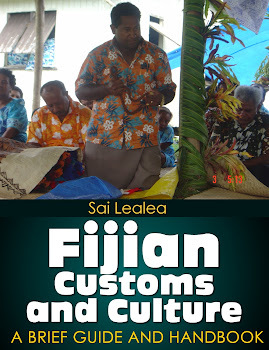 "There are a lot done in English but not many in Fijian and Rotuman. "We would like to incorporate Fijian and Rotuman in creative writing and create a platform where these publications can be marketable and up to standard," she said. Ms Manulevu said they were overwhelmed at the number of applications they received. "We put out advertisements on the workshop," she said. "People applied to be part of the workshop and applications closed on December 1 when a shortlist was prepared. "We initially wanted 20 people per class but because of the growing interest we had to increase the numbers. The Board's Senior Culture and Heritage specialist, Dr Apolonia Tamata, said in performance and poetry, the aim was to encourage young people to take an interest in poetry but through the Fijian and Rotuman languages. "Translations can be tricky, especially if you have not had the proper training," she said. "Some Fijian books, especially for schools, are boring because they are translated from English. "Two novels in schools are translated and one is from King Solomon's Mines. "Although some themes are universal, some are not related to Fiji and out of our country."